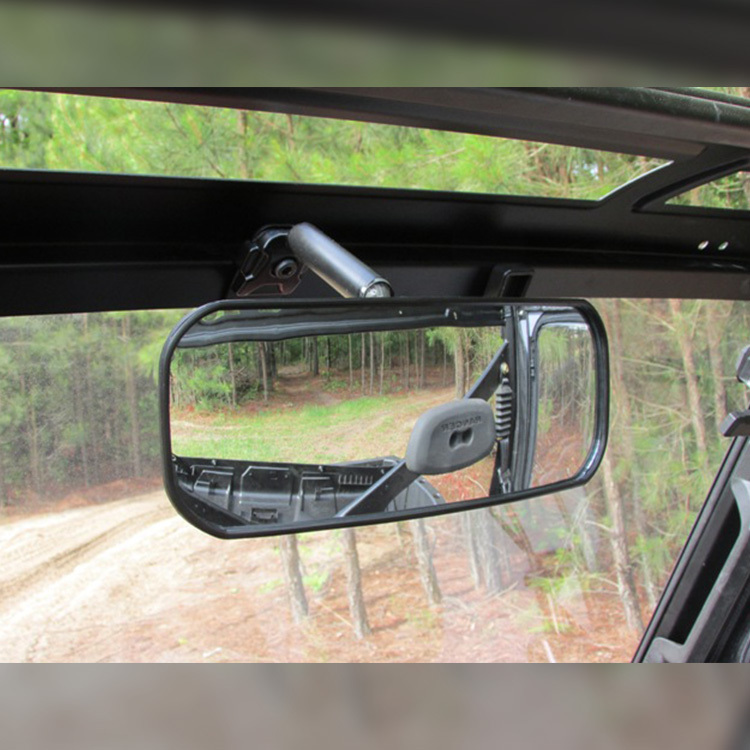 The wide angle rearview mirror is the perfect rearview mirror for UTVs. It has an incredible range of adjustments. The double ball joint allows the rider to position the mirror in any configuration they choose and the friction pads inside the ball joints keep the mirror from moving on rough trails. The oversized convex viewing surface reduces vibration and allows the rider to see anything happening behind them. The all steel clamp, shaft and bracket create a heavy duty mirror that can really take a beating. Designed specifically for UTV’s, but the Wide Angle Rear View Mirror also works great on boats, tractors and recreational vehicles. Aggressive styling also helps to reinforce the high impact plastic housing. 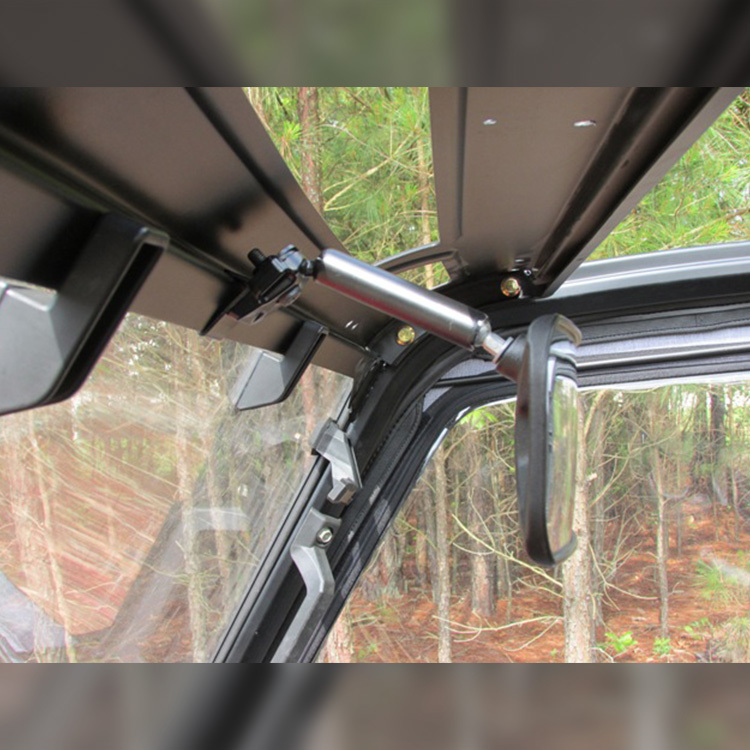 Durable steel 1.75″ clamp is designed to provide a strong grip and keep the mirror stable on the roughest terrain. Simple one screw installation. Huge, convex viewing surface minimizes vibration and gives the driver view of everything behind him. Double Ball Joints give the Wide Angle Rear View Mirror very high adjustability.